The month of January is National Birth Defects Prevention Month. Each year, a theme is chosen in support of preventing birth defects in the United States. 2019’s theme is called “Best for You. Best for Baby.” Although a myriad of birth defects are not preventable, there are some ways that mothers can reduce the likelihood of having a baby with a birth defect. 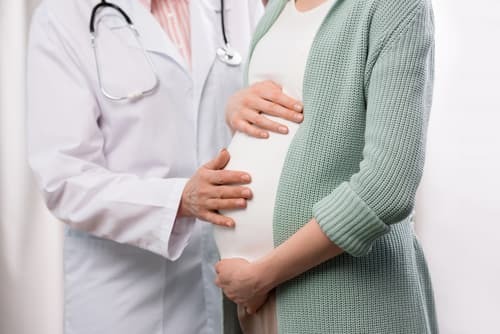 Additionally, doctors are responsible for prenatal screening to identify a variety of birth defects, and must provide parents with the information they need to make pregnancy-related decisions. Beyond early diagnosis and detection of birth defects, inadequate prenatal care may contribute to you having an unhealthy baby. When a doctor’s negligence during pregnancy, labor or delivery causes complications for your child, you may have options to pursue a medical malpractice claim. If you suspect that your baby suffered harm resulting from a medical professional’s negligent conduct, the experienced New Jersey medical malpractice lawyers at Fronzuto Law Group are here to fight for you. Our team will review medical records and the specific circumstances surrounding your case to identify who is at fault for your baby’s injuries. If a doctor failed to diagnose your child’s birth defect, we have the knowledge and experience to determine liability and pursue your claim. Contact our local offices in NJ for a free consultation. A birth defect is a medical condition that a baby develops while still in the mother’s womb. The majority of birth defects develop during the first trimester (the initial three months of pregnancy). In the U.S., birth defects are responsible for killing more babies that anything else, causing 20% of infant mortalities. In fact, birth defects are consistently the leading cause of infant deaths in New Jersey and across the nation. When a child is born with a birth defects, his or her propensity for lifelong disability significantly increases. Some birth defects can be diagnosed during pregnancy with thorough prenatal testing. For example, genetic anomalies indicate conditions like Down Syndrome. Other birth defects, such as structural problems with the heart or lungs, are found after birth when complications arise. The specific type of birth defect determines the area of the body affected, such as the brain, ears, or feet. The severity and long-term impact of a birth defect is equally variable. While some birth defects require corrective surgery, such as a cleft lip or heart valve deformity, others are incurable. In the worst cases, a birth defect can cause death of a newborn. What Can I do to Prevent Birth Defects during Pregnancy? Your healthcare provider is also responsible for providing proper care throughout your pregnancy to support a healthy baby. Prenatal testing, medical guidance, diagnosis and management of conditions like preeclampsia, and timely treatment for any infections or illnesses that arise while you are pregnant is essential. If your doctor failed to provide this level of care and your baby suffered harm as a result, it is important to seek counsel from a knowledgeable attorney. If your child was born with a birth defect and you believe medical negligence played a role, call the experienced New Jersey birth defect attorneys at Fronzuto Law Group to find out your legal options. You can reach us online or by phone at 973-435-4551 for a free case evaluation. The consultation is free and so are our services unless we obtain you a recovery.